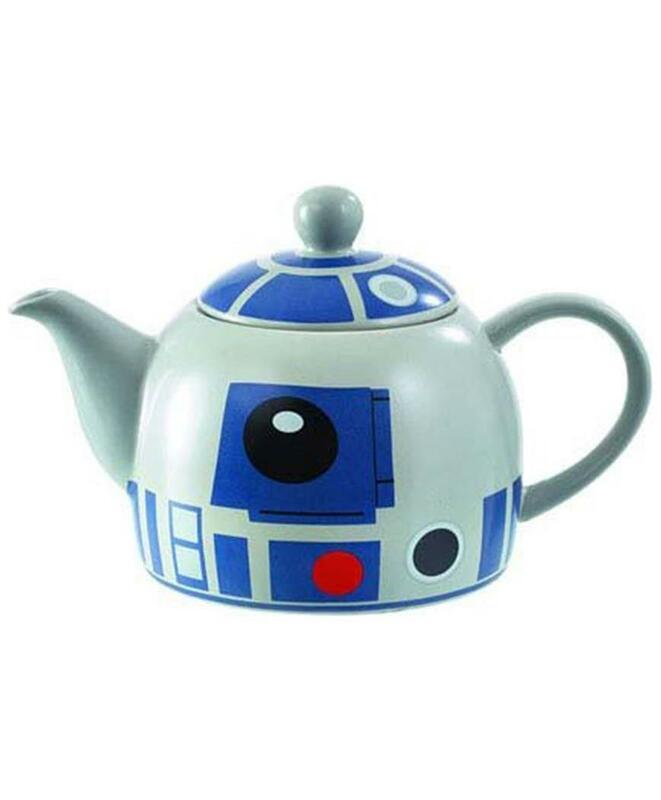 Star Wars R2-D2 Teapot Underground Toys Star Wars Kitchenware Beep boop! This awesome Star Wars R2-D2 Teapot is from a long time ago and a galaxy far, far away. Made of the highest quality ceramic, the smart decal design turns a humble teapot into the "head" of everyone's favorite astromech droid! Hand wash only. Not dishwasher safe. Do not microwave. Measures approximately 4-inches tall and 5 1/2-inches in diameter at the base.